2018 was an epic year for concerts in the UAE, with big names like the Backstreet Boys, Ricky Martin, Dua Lipa, Sam Smith and Guns N’ Roses all taking to sold-out venues across the country. But there’s plenty more where that came from – and we’re already getting excited for 2019, with some stellar artist announcements. We’ve rounded up all the stars with confirmed gigs coming up – mark these dates in your diary! ALSO READ: What’s On predicts: Who will perform in Dubai in 2019? Veteran of the West Coast hip-hop scene, The Game, will be travelling to Dubai next month to perform a show for fans on Thursday April 4. The rapper, producer and actor, will be returning to Dubai for Base’s ladies’ night, LYFE. On April 4, the night will offer complimentary drinks for ladies until 2am as well as a host of live entertainment, light shows and exciting performances. 90s fans might already be familiar with REMIX 92, the retro concert that takes place several times a year at Jumeirah Creekside Hotel, but it’s making its way to The Greens for the first time in April – with a brilliant throwback line-up. Taking place at Zabeel House by Jumeirah, The Greens, REMIX 92 promises a retrotastic line-up which will see Alesha Dixon headline on Friday April 5. Also in the line-up will be Samantha Mumba, Booty Luv and former All Saints star Mel Blatt performing a live DJ set. Zabeel House by Jumeirah, The Greens, Dubai, 1pm onwards, Friday April 5, tickets from Dhs95, 21+ only. platinumlist.net. Legendary Irish boyband Boyzone will perform at Dubai Duty Free Tennis Stadium on Friday April 12. The four-piece boyband enjoyed more than 25 successful years in the music industry, racking up number ones including. Ronan Keating, Shane Lynch, Mikey Graham and Keith Duffy parted ways back in 2000 after seven years together but reunited in 2009 for for the Back Again… No Matter What tour and again 2013 to celebrate their 20th anniversary with a tour and new music. This is set to be your last chance to see the boyband, who announced last year that they are splitting up for good after their farewell tour in 2019. Award-winning beach club Zero Gravity will welcome its first music festival of the year on Friday April 12. 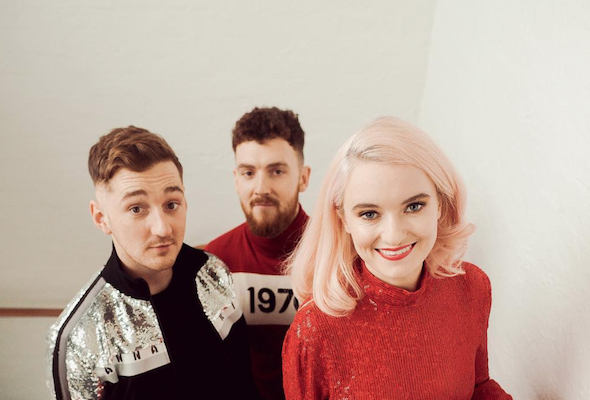 On a purpose-built festival stage, the appropriately named One Big Beach Festival sees multi-platinum selling band Clean Bandit in concert, as well as the welcome return of Sigma (DJ Set), Ibiza’s favourite sax player Lovely Laura & DJ Ben Santiago, plus South African favourites Goldfish, live on stage. Groove on the Grass will return on April 19, 2019 for a day to night festival of music, activities and market shopping. The home-grown festival is closing its seventh season in Dubai at Emirates Golf Club. Headliners include award-winning artists, Rudimental, famed for their hits including ‘Right Here’ and ‘Sun Comes Up’, who will be doing a DJ set on the night. The drum’n’bass band first rose to fame in 2012 when their single ‘Feel The Love’ alongside John Newman debuted at number one in the UK singles chart. The mastermind behind the huge hit ‘Hello’, has added Zero Gravity to the bill of his endless world touring schedule. Solveig was ranked number 29 in the DJ Mag Top 100 DJs and when you witness his charismatic, energetic performance it’s easy to see why. The Proclaimers are a Scottish music duo composed of twin brothers Charlie and Craig Reid. But you won’t need to walk 500 miles to see them – they’ll be in Dubai on Thursday April 25 at The Irish Village. 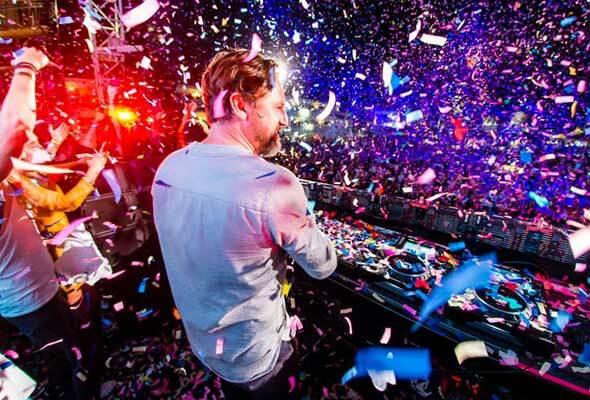 Meydan super venue Soho Beach is set to welcome award-winning DJ Solomun for a gig on April 26. No stranger to Dubai, Solomun has previously performed at Gotha and Eden Beach Club, as well as headlining Soho Beach’s party in December last year. Done Events have announced that Grammy award-winning pop-rock group Maroon 5 will return to Dubai for the first time since 2011. Although a date and location for the gig have not been given, it’s widely thought that the This Love hitmakers will open Dubai Arena in City Walk in June. Tickets are not yet on sale for the gig, although you can register your interest here.